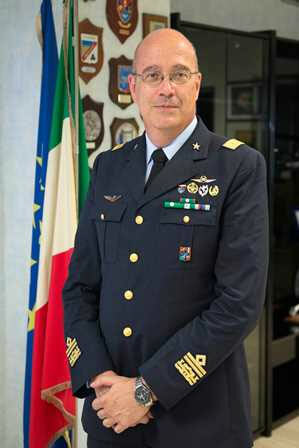 General Basilio Di Martino serves as the Inspector General for the Italian Ministry of Defense. 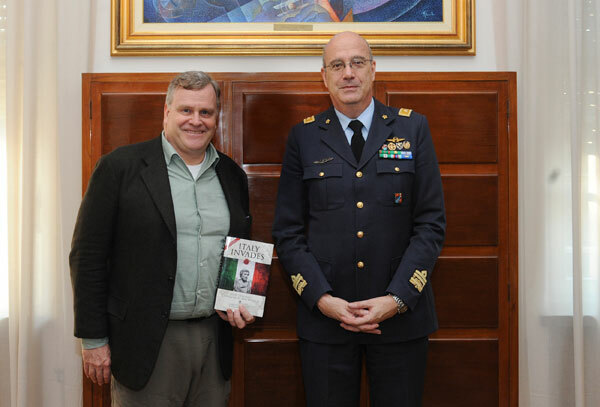 I had the honor of meeting Italian General Basilio Di Martino in person on one of my recent visits to Italy and could not have been more impressed with his years of military experience and service, but also his historical knowledge of Italy’s many contributions around the world and sacrifices through the centuries. 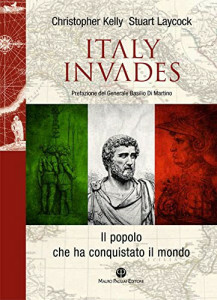 It is this shared passion for military history that led to his contribution of a heartfelt Foreword to Italy Invades (the Italian translated edition to be released Fall 2016). Inspector General Basilio Di Martino was born in Rome in 1957. He started training in the Accademia Aeronautica (the Italian Air Force Academy) in 1975 as Officer Cadet and graduated in electronic engineering. In 1981 he was assigned to the Italian Flight Testing Division. After graduating as system engineer officer from the Royal Air Force College in Cranwell, UK, in 1983, he took part in several testing programs in the fields of avionics and weaponry, on both national and international levels. After working as technical director for the Italian Flight Testing Division between 1993 and 1995, he was transferred to the Italian General Staff of Aeronautics, where he worked in logistics and modernization programs, mainly focusing on satellite systems and unmanned aerial systems. In 1997-98 he attended the 66° Corso Superiore della Scuola di Guerra Aerea, the Italian Air War College, and the 4° Corso dell’Istituto Superiore di Stato Maggiore Interforze, a professional training course of the Italian Armed Forces; and was then hired as a tutor by the Istituto Superiore the following year. He then returned to the 4th division of the Italian General Staff of Aeronautics, where between 2000 and 2004, in the role of colonel, he was chief in charge of unmanned aerial, surface-to-air and space systems. Between 2004 and 2011 he served in the 2nd Division of the Logistics Command, first as office supervisor and later as head of the department. In 2005 he graduated in political science from the University of Trieste. Between 2006 and 2010 he taught aerospace aystems within the political science master’s program at the institute Cesare Alfieri in Florence. Promoted to Brigadier General in 2011, he attended the 63ª Sessione dell’Istituto Alti Studi della Difesa, the Italian highest training in defense studies, where he was awarded a second level postgraduate degree in global strategy and security. Inspector General since 2013, between 2012 and 2014 he worked as Deputy Technical Chairman of the Direzione Informatica, Telematica e Tecnologie Avanzate (Teledife), the board of Advanced Telematic Systems of the Italian Ministry of Defense. 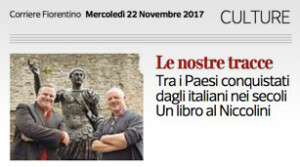 Di Martino is fond of aeronautical and military history, has authored several publications, and regularly delivers lectures both in Italy and abroad. 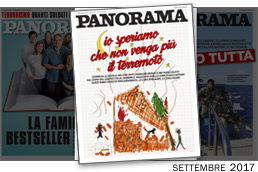 Since 10th September 2014, he has been working as chairman of the board of the Teledife for the Italian Ministry of Defense.